Putting Down Roots | Seabreeze Management Company Inc.
Spring is finally here! Spring is when the days get longer and where the rain and sun create the right conditions for new plants to grow. However, in order to grow, these plants must first put down roots. 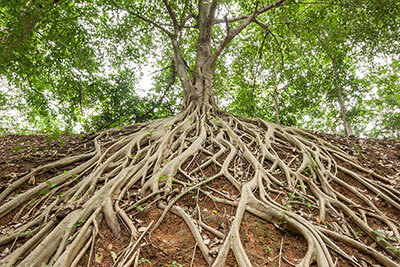 The roots are important because they will serve as the foundation to keep the plant in place as it reaches maturity. At Seabreeze, we know the importance of putting down roots, and it’s why we’re in the business of building communities. Every Seabreeze community is a place where people work, play and live and, without roots, it would be impossible for those communities to grow and thrive. While so much of our time is spent focusing on the communities that we are proud to serve, there’s another community where we continually invest: our own. We’ve grown a lot over the past year, and we are continuing that trend in 2018. From new clients to new team members, we’ve been busy building an organization that can support and serve our clients in the best way possible. We’ve been busy putting down roots. We know that growing roots doesn’t come easy, but we also know the importance of building a foundation that will continue to allow Seabreeze to be a healthy and stable company. This is exactly why, for the past several months, we’ve been rolling up our sleeves and putting in the work to create that internal system of roots. While much of that work goes unseen, this team has been working tirelessly to push the boundaries of what’s possible. This spring, during our season of growth, we understand the importance of putting down roots at home. Every person here has unique gifts and skills, and it’s those traits that make up the vast root system that serves as the very foundation of this company. It’s also these strengths that allow us, as an organization, to thrive through service, hard work and belief that we can—and will—do what’s best for every one of our clients.